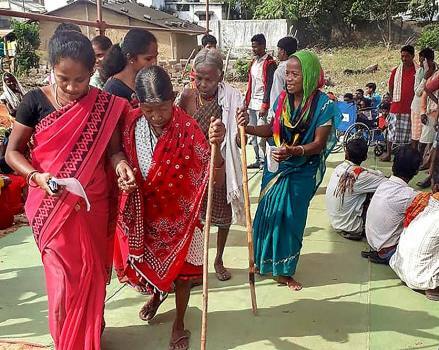 Elderly voters arrive to cast their votes at a polling booth during the 1st phase of Chhattisgarh Assembly Election, in Sukma. 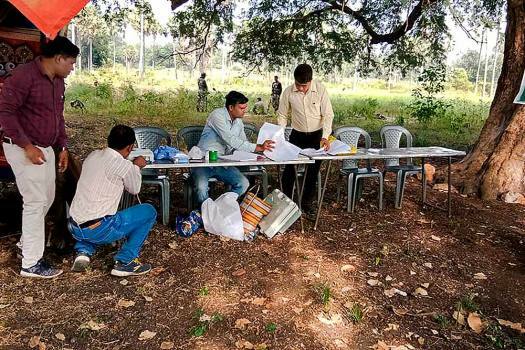 A polling station set up undera tree during the first phase of Assembly elections in Chhattisgarh, in Sukma. 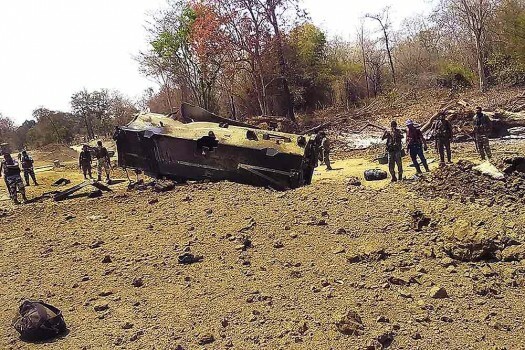 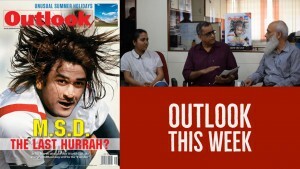 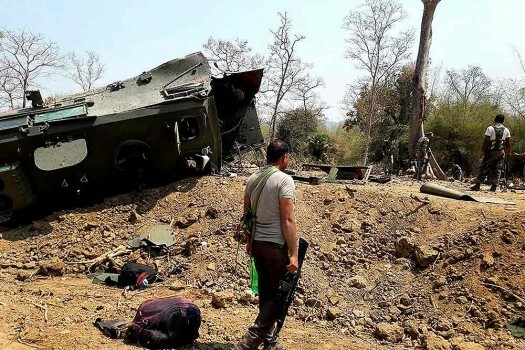 The identity of the killed Naxals was yet to be ascertained, the police officer said.